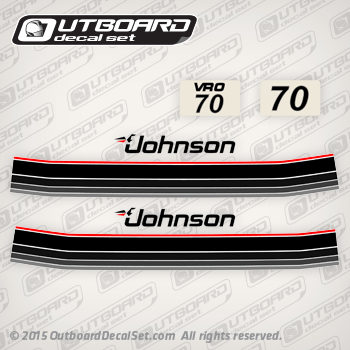 Decal set for a Johnson 70 hp decal set for VRO outboard motors from 1985. this decals can replace oem part number 0393906. Set of decals may work on Johnson outboards from 1985 and others. JOHNSON 1985 J70ELCOS, J70TLCOS, J75ECOS.